We work closely with local businesses and service providers to create an unforgettable experience for your conference delegates and guests. 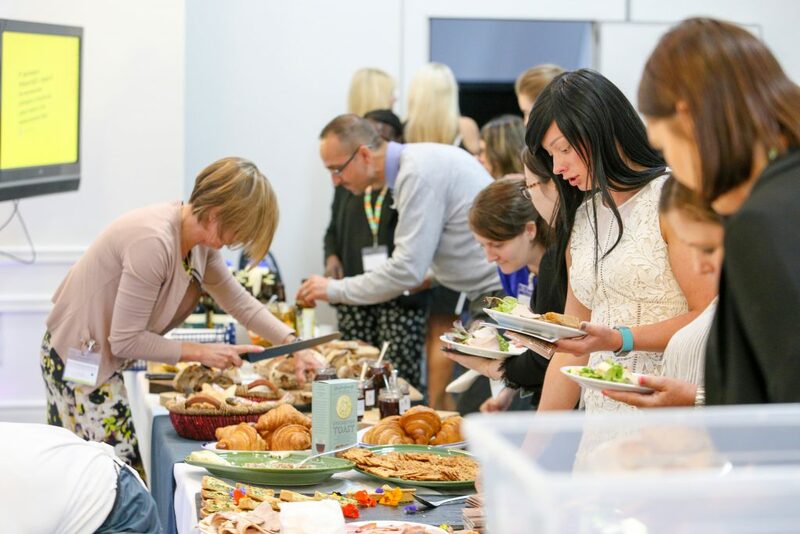 Our partners range from tour guides, restaurants, hotels and corporate gifts providers to transport, event theming and catering companies who are determined to work together to make your event a great success. To discuss your event requirements please email or call us on 0115 962 8320. If you’re looking for something Nottingham related to wow your delegates then Nottingham Tourism Information Centre has a range of gifts and souvenirs that are perfect to take home as a keepsake. Buy your corporate gifts at the Tourism Information Centre or contact us, and we’ll assist you with arranging a discount for your guests. Stage Connections are a leading, fully-integrated technical event production specialist, delivering the best in staging, sound, lighting and video productions services. 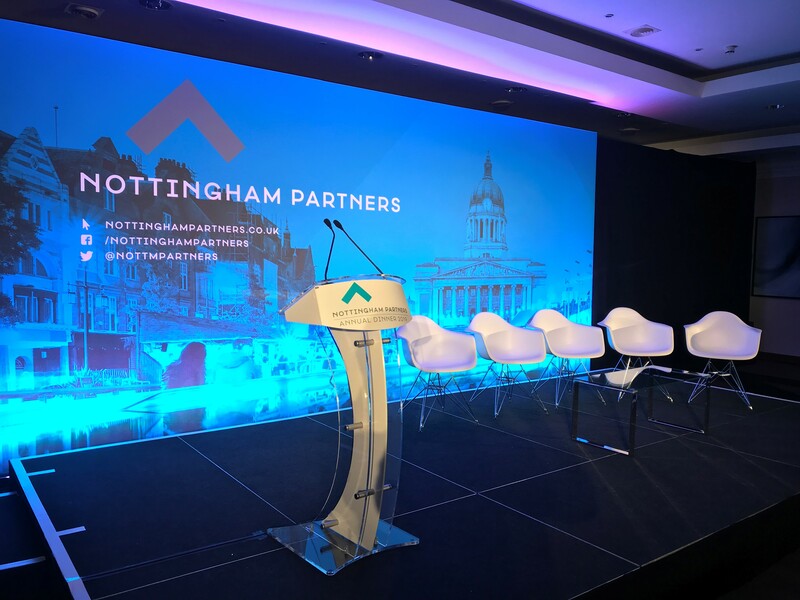 Based in the Midlands, their dynamic team provide innovative equipment and production solutions to events across the UK. There’s nothing like a truly engaging, immersive and unique experience to bring a team together. Get your team out of their day-to-day environment and challenge them with an event they’ll talk about all year! Perfect for team building, leadership development, corporate entertainment and Christmas parties. Zero Latency is a Multi Player Virtual Reality Experience and the first of it’s kind in the UK. Venue managers will take the stress out of organising an event and assist you through the process to make sure your session is a complete success. The venue caters for groups large or small and tailor the in-game experience to suit your needs and budget. 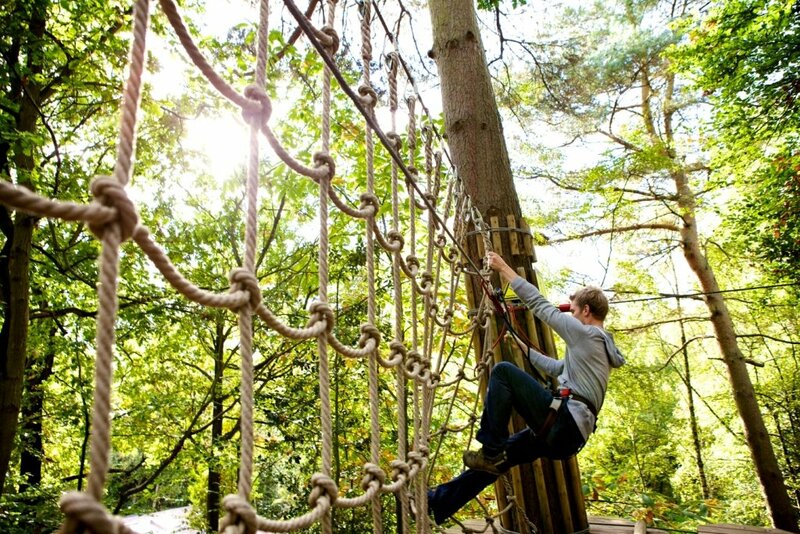 The Adrenalin Jungle Nottingham is set in the heart of Sherwood Forest Nottinghamshire, covering over 150 acres of woodlands and clearings; its the largest multi event outdoor activity centre in the East Midlands. The Nottingham Adrenalin Jungle offers a diverse range of outdoor activities for teams and with 95% of them all at the same location. Events can easily be combined so you can do a mixture of activities all at the same location. 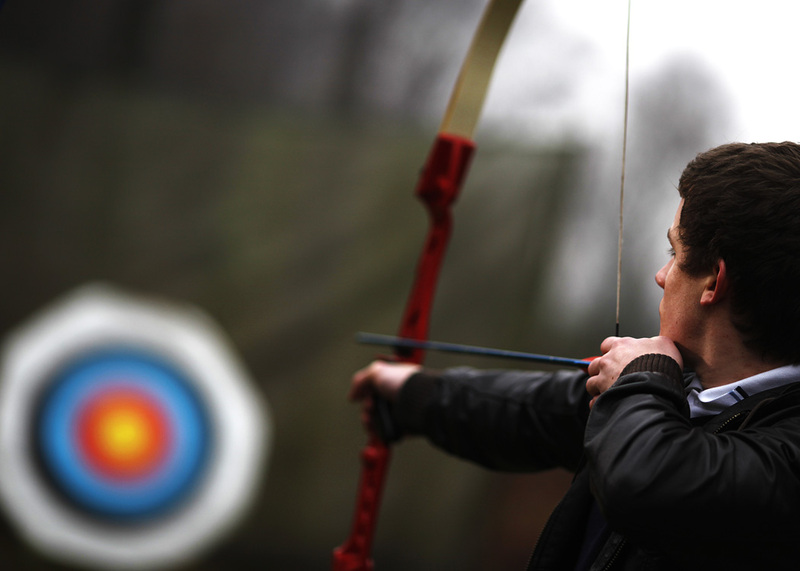 Create your own bespoke packages and choose from a popular range of activities; quads, laser tag, archery, assault courses, bubble football, shared 4×4 driving, segway, paintball and falconry. Go Ape’s fun, challenging and hugely rewarding team days are the perfect way to bring your Tribe together as a united front. By the end, you’ll all feel ready to conquer the world. With full and half day packages available come rain or shine, Go Ape’s event co-ordinators work with you to tailor your day to suit your needs and to make your adventure truly unique. Go Ape Sherwood Forest has played host to corporate days of all shapes and sizes. From learning and development days to social team days out of the office, and even product launches and brand camps for well-known brands. At Delilah you’ll find top quality ★★★★★ ingredients which will leave your guests talking about your event for months. Their Patisserie chefs can add the finishing touches to any meal with hand crafted desserts. With every event being different and everyone’s requirements being unique Delilah’s staff likes to keep their menus flexible in the same way. Delilah provides catering to businesses around Nottingham on a daily basis. In addition to the quality and variety of their offer, professionalism, efficiency and timeliness ensure customers come back time and again. Delilah provides a service for any occasion, whether boardroom dinner, staff lunch, or special corporate function from canapés and bubbles to a full on buffet spread. Cultural Heritage Ltd invites you and your delegates to join expert Archaeologists and Historians aboard a vintage 1960s London Bus on a tour of legendary Sherwood Forest. 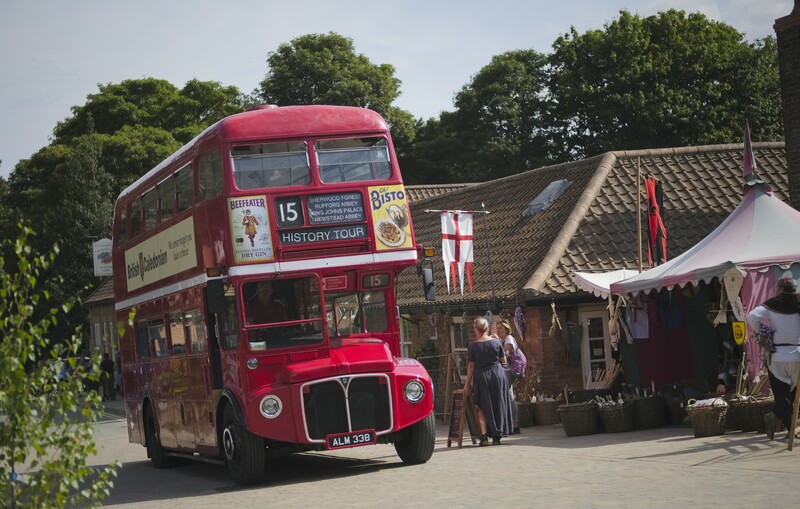 The tour combines unrivalled local knowledge of historic Sherwood Forest with an opportunity to ride on-board a vintage RouteMaster bus. The tour stops for an hour at Rufford Abbey, a former Cistercian Abbey and later country house, to allow for a visit around the site and for refreshments stops at the various cafes at the site, and to visit the shop and exhibitions. There is an optional guided walk around the ruins provided. The next stop is Sherwood Forest National Nature Reserve to allow visitors time to explore and also to purchase lunch or eat at the visitors centre, and to visit the shop and exhibitions. There is an opportunity for an accompanied guided walk to see the Major oak. The tour bus will collect your group from their hotel, depart at 9:30am and return by 17:30 depending on traffic. Tours can also be done on your group’s own coach. Ezekial Bone is Robin Hood for the twenty-first century. Join him on an adventure around Nottingham and discover the truth of the legend. Follow a trail of historical facts and learn how simple ballads over 700 years old grew into one of the greatest stories ever told. 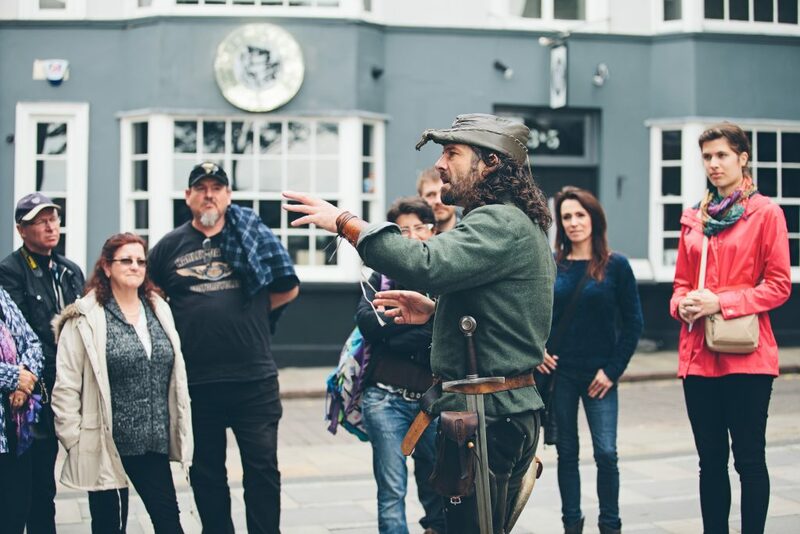 Our very own Robin Hood will be delighted to show you and your delegates around the great city of Nottingham. He’s happy to tailor the tours according to your needs and requirements. The hour can be shorter or longer in distance and duration, specialising in specific areas of Nottingham and tailored to suit your itinerary. Content also tailored for your group with emphasis on Robin Hood or other areas of cultural interest like famous residents, the movers and shakers, the saints and sinners etc. For more information about any of our partner businesses please email our team or call us on 0115 962 8320.